Antti Laitinen’s commissioned work Salix Caprea unveiled at the Kiiru School in Somero, Finland in February 2018. 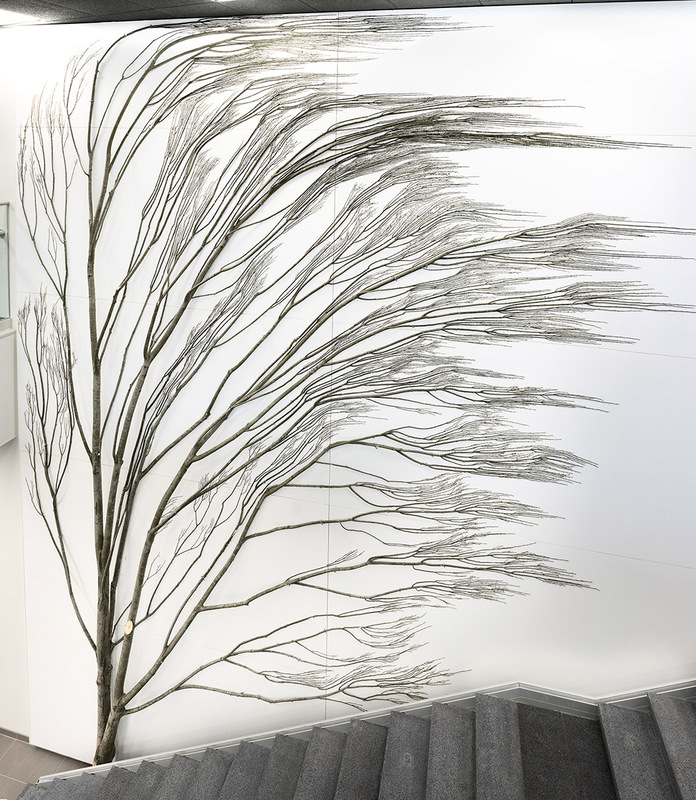 The artwork consists of a willow tree that has been cut down from Laitinen’s own yard and installed at the school’s main stairway. resembling a plant pressed between the pages of a herbarium.